Martin Kaymer, Jordan Spieth and Rickie Fowler have all played under par in the majors of 2014. Many have played over par like Henrik Stenson, Jimmy Walker, Jason Day, Matt Kuchar, Justin Rose, Chris Kirk, Rory Mcllroy, Ian Poulter and Brandt Snedeker. Many have scored over par in double digits like Russel henley, Gary Woodland, Stewart Cink, Billy Horschel and Bill Haas. Kevin Stadler has been consistent rather than better when compared to Bubba Watson. Bubba Watson failed to make the cut at Pinehurst at the local time on Friday in his search to finish the Masters-US Open. He is solely responsible for his poor performance as he was one shot away from making the cut. According to him such a kind of course does not suit him. But he is confident of preparing for the latter part of the year. With only five players being able to win both the Masters and the US is an achievement which most of the other players lack. Luke Donald, Lee Westwood and Jason Dufner also failed to make the cut this year. Though Donald does not have the stance of playing on such a course but Westwood was one of the best players suited for such a course but even he failed to rise to the occasion. Neil and Lombard on the other hand played a neck to neck match with ups and downs and it was Lombard who made the birdie in the 15th and the 16th but Neil closed it at par on the 17th. Both are friendly and seeing such a competition was fun for the spectators as well as the players. Neil won the match and he received accolades on twitter by Justin Rose. Both the players respected each others game and there was not a trace of enemity from either side. Steve Stricker is one of the most celebrated golfers on the PGA Tour. He has won a staggering 12 tournaments on the PGA Tour, which even include two FedEx Cup playoff events. He won three great victories in 2009, and finished on the second place of the money list. Steve Stricker was born in Wisconsin, at a place called Edgerton. He played golf throughout his formative years. There were two places he played at; one was the Edgerton Towne Country Club, while the other was Lake Ripley Country Club. 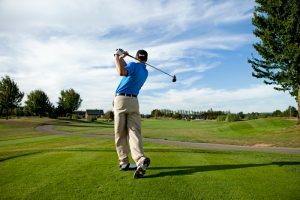 He later on went on to graduate with All-American honours as a member of the golf team in both 1988 and 1989 at the University of Illinois. Stricker became a professional in 1990, and since then, his journey has only been forward, and closer and closer to the top. He started his career at the Canadian Professional Golf Tour, where he spectacularly won two tournaments, and his first big break came when in 1996, he won both the Kemper Open and the Motorola Western Open. 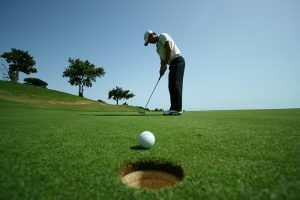 He also had seven whopping top ten finishes that year on the PGA Tour, and he went on to finish fourth on the money list of the PGA Tour that year. At the Players Championship, Steve Stricker was three under par and tied at the twenty fifth spot while entering play, which resumed on Saturday. He was seen shooting just two under par while in Round Two, while in the Round One, he shot just one under par. At the end of the day’s play, he was able to move up to 23 spots. He needs to work really hard to finish in the top 25 list, which will be his 189th Top 25 finish, in a career spanning twenty four years. Upon hearing the term globetrotter, the name of American golfer Jason Dufner is not one that immediately crops up to the mind but according to the one time major winner, getting to travel the world and being able to see different places is something that he is learning to enjoy and cherish. He stated that travelling the world, as he has started to do recently, and being able to play in different countries as well as a variety of golf courses is something that he hopes will help him become a better professional in the course of time. He went on to add that if one looks back at some of the greatest names of the of game from the past, the likes of Jack Nicklaus, Gary Player and some others – they all travelled the world, winning titles in many different countries. Jason Dufner added that they are a bit spoiled in the United States of American, considering the schedule they play in as well as the purse they are given but in this way, he gets to see the world. And according to Dufner, the situation is a win-win for him. And many would agree with the American without a shadow of a doubt, especially tennis or golf pros. Being able to get out of one’s comfort zone is something that makes a better player of even an ordinary one and Dufner is one of the best talents around at the moment. Jason Dufner mentioned that he will be looking to play in four to six international tournaments this year before going on to add that he might be stepping out of his comfort zone in this way, but that is something he wants to do and is looking forward to enjoying traveling the world and become a better player. McConnell Golf is increasing its territory day by day. It already has 10 private clubs and out of those 10 8 of them has facilities in Carolinas. It also has a Reserve Club in Pawleys Island. LStar Management first hired McConnell to help them operate the Ocean Club and the Members Club au the Grande Dunes. In addition to that they were also handed the Grand Dunes Marina and the Anchor Café that is there on the Intracoastal Waterway. On December 20th LStar bought the Grande Dunes resort from the Burroughs & Chaplin Co.
Out of the 10 courses that McConnell Golf operates, The Members Club is one of the first courses that they do not own. However the contract can be renewed after two years. Both of the parties are seriously concerned about the quality of the course and that is why they have been together for such a long time. In the recent times there were lot of offers to operate the courses but McConnell was the top priority amongst all the others. In the initial contract 70 per cent of the initiation fees were refundable but only if you resigned. But the fact that the courses were so well maintained made it possible for everyone to stick to McConnell. The continuous impetus to improve the overall service has given everyone a real boost to everyone. They have walk mowed the greens, painted the cups and the car windshields are washed almost every alternate days. The best part is they have kept a watch on each and every small detail just to keep up to the reputation. Due to all things and because of the quality of service they give McConnell has been able to retain the operations although they have not succeeded in owning any of the courses. But it is a very big scale which they are working on and that should not be minuscule.